Have you heard there is a way to knit using a crochet hook? There are a couple of ways to use a crochet hook to create knitted fabrics. One method of crocheting knitted fabrics by crochet is Knooking, and it requires a proprietary tool rather than a traditional crochet hook. A Knook is a tool manufactured by Leisure Arts that is much like a crochet hook, but you can use it to create knitted fabrics. The advantages over either knitting or crocheting are not clear, at least for those experienced in one or both. Perhaps you could use the one tool to switch back and forth from knitting to crochet during a project. See the product review of the Knook Beginner Set for the advantages and disadvantages. You can crochet a fabric that appears to be knitted with the Tunisian knit stitch. There is also a Tunisian purl stitch. The front side of Tunisian knit stitch looks like knitting; it resembles the front side of stockinette stitch (also known as "stocking stitch".) It also has a tendency to curl up in much the same way that stockinette stitch curls. The Tunisian knit fabric itself has similarities to knitting but is structurally different than knitting; it's similar enough that you could, indeed, refer to this technique as "knitting with a crochet hook," although knitting purists might argue the point, as might crochet purists as well. You should be aware that, in general, you can expect the crocheted version of the knit stitch to be thicker, and to have less stretch. Individual results will vary depending on many factors. Tunisian knit stitch is worked with a long crochet hook called an "afghan hook" or "Tunisian hook;" this type of hook resembles a knitting needle, except that it has a hook at the end instead of a point. It differs from a traditional crochet hook in that it is longer, it has a stopper at the other end, and in most instances, the entire hook is shaped like a tube; there isn't usually a flat place on the hook like you might find with a regular crochet hook. The hook is designed in this way so that it will accommodate the large number of loops that you'd need to hold on the hook to work your project. Alternatively, the Tunisian knit stitch could also be worked on a flexible crochet hook designed for this purpose. Easy faux knit dishcloth pattern: Make a square dishcloth. Easy faux knit headband pattern: This simple project can be made with plain or variegated yarn. Overview of the Tunisian crochet technique. 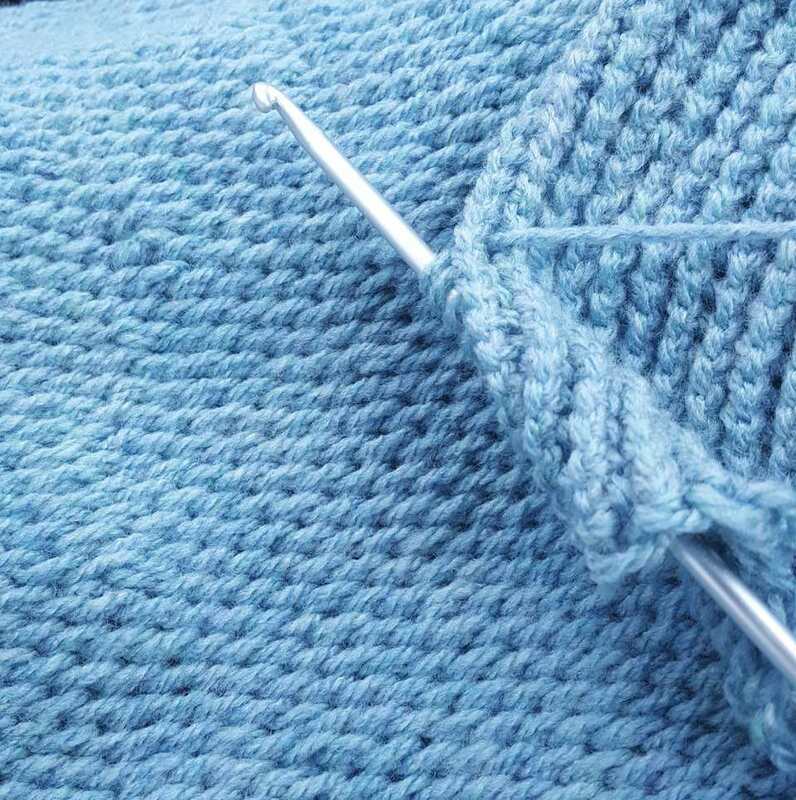 Learn more about this technique that holds many stitches on a long crochet hook, as knitting does with knitting needles. Free Tunisian crochet patterns: Make various projects using this technique.